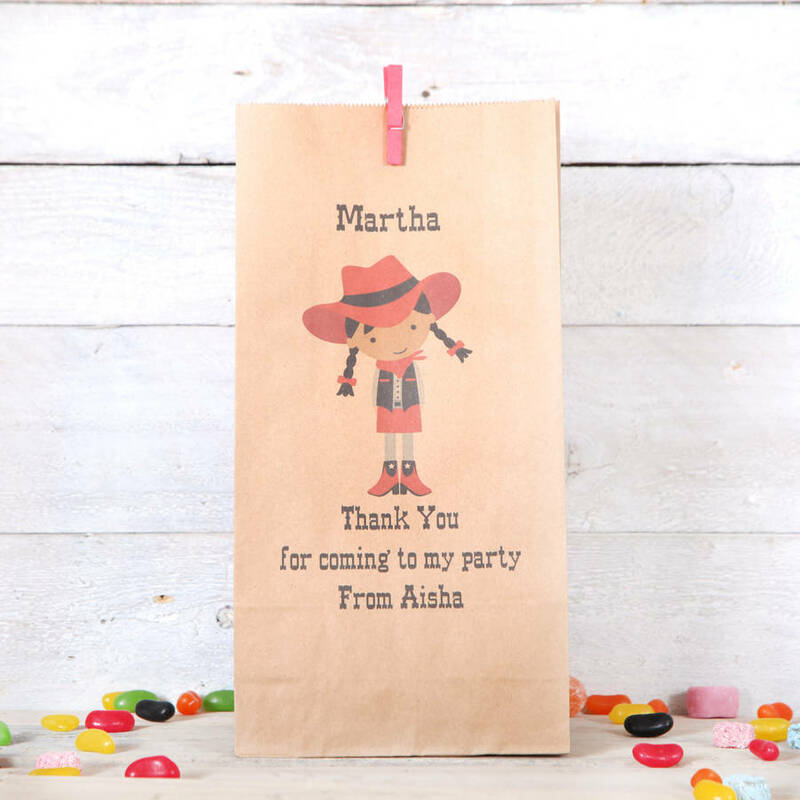 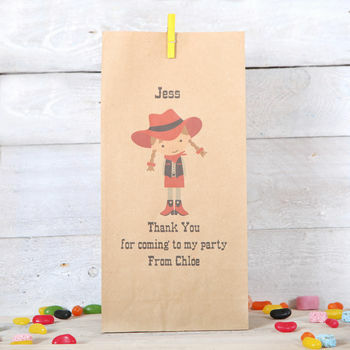 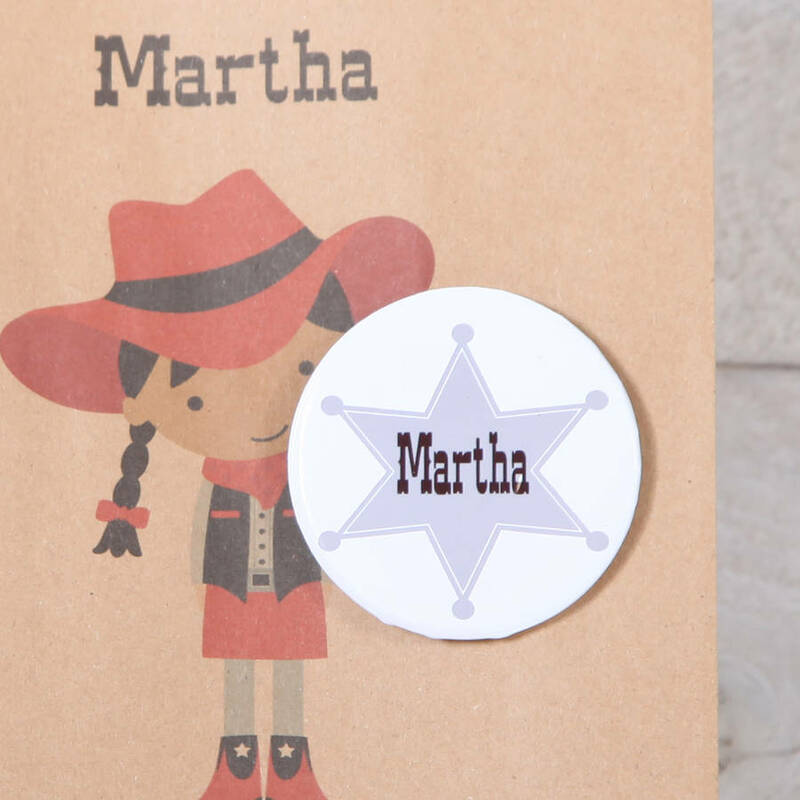 Our personalised cowgirl party bags are great for a western or horse themed birthday party. 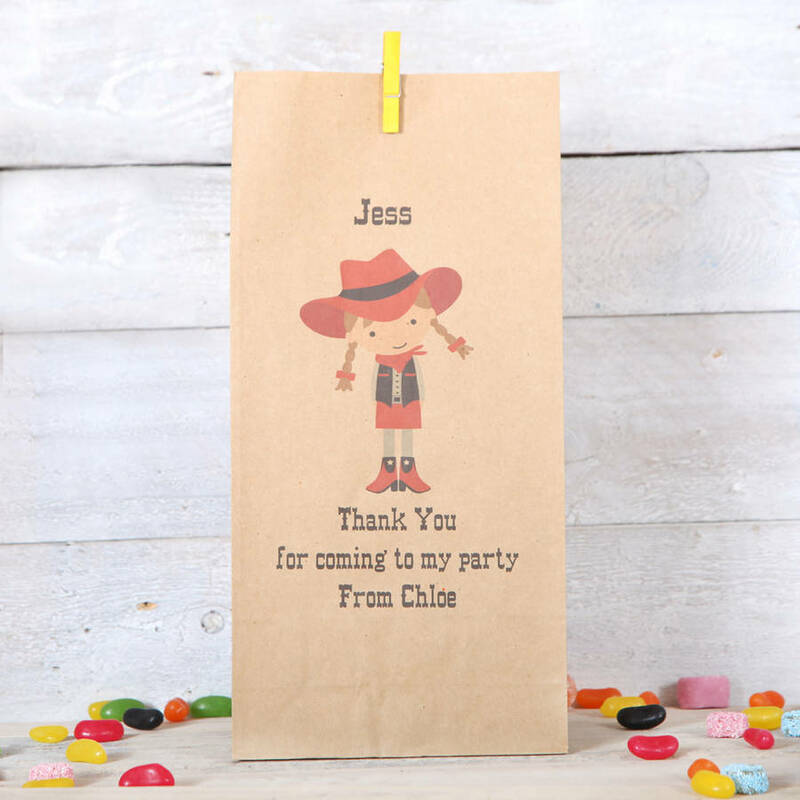 They are generously sized and have plenty of space for party favours and the cake. 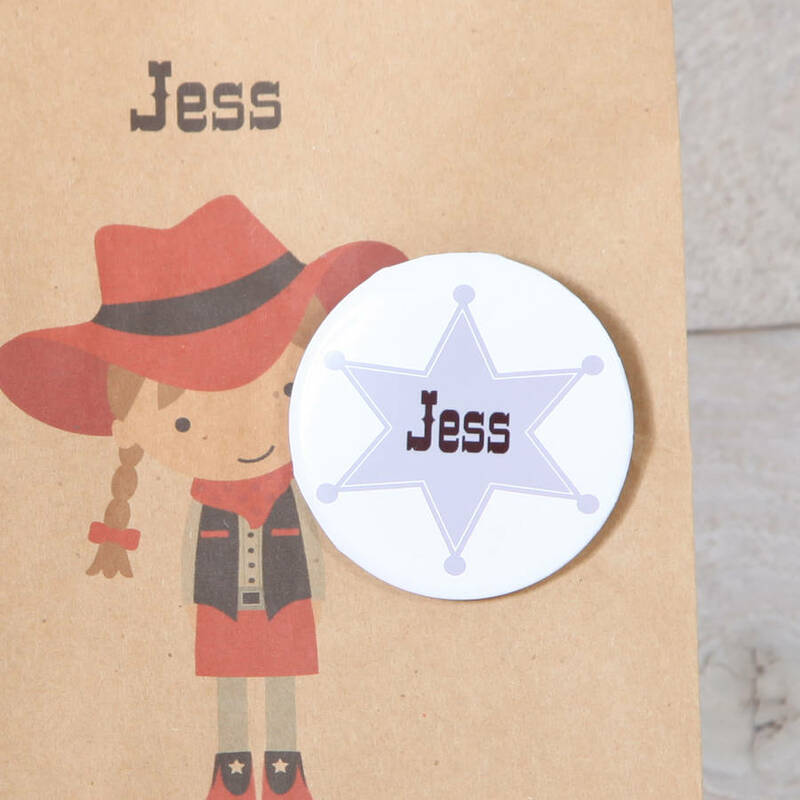 Matching sheriffs badge also available.